I'd ask you how Mother Nature has been treating you, because she has been as ruthless as a scorned woman around these parts. I'd tell you that we've been jumping from 60° days to frigid temperatures and ice completely coating every exposed surface. Whoever pissed her off had better make amends soon, because I don't think I can handle the back and forth much longer. The only benefit of the frequent ice storms is the opportunities for my camera to go to work. Have you ever stared in wonder at a tree that has been encapsulated in ice? I'd tell you that this slower approach to life that I've been taking in 2019 has been suiting me fantastically. I have allowed myself to work at my own pace, take days off without agonizing over all the things left undone, and have enjoyed the pleasure of taking care of my heart and finding peace in the quiet days. I'm beginning to wonder why I ever pushed myself so hard before because I'm still able to get plenty accomplished, but without the headache that comes from overbooked schedules and always being on the run. I'd tell you that my brother recently started his own business, and in addition to running his office, he's asked me to help him design his brand. Over the last few days, I've taken his business concept and have created the visual components of his company. I'd tell you that this project has me feeling so excited. I majored in graphic design in school before I transferred out to the liberal arts department, and I didn't realize how much I missed design until now. I am considering working on a few other design projects alongside my writing career. I'd tell you that something else has been happening over the last week. I don't dare share the details yet, or else I will surely jinx myself, but I will say that just when I'd given up on the idea of checking a box that I never thought I'd qualify for again, maybe, just maybe, there is a spark of hope. For some reason, it always happens that way. I get comfortable, and life flip-turns upside down. All I have to say is Bring It On. We'd enjoy the last bites of our donuts before sliding back into our warm coats. I'd wish you a happy Valentine's Day, give you a great big hug, and promise to see you next month. This time, I won't be late! Every second Tuesday of the month, we gather together with our favorite hot beverages and catch up. Care to join us? Our next coffee date is scheduled for Tuesday, March 12th. 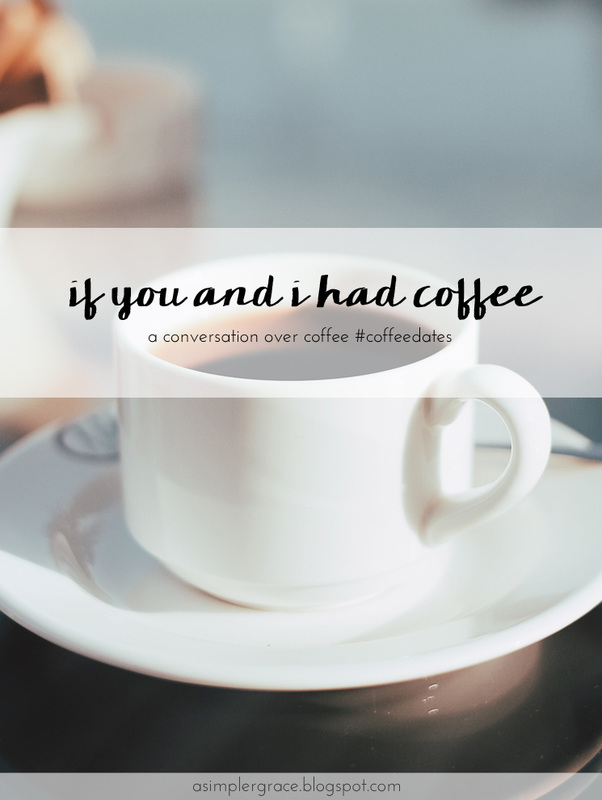 The post If You and I Had Coffee | vol 32 first appeared on A Simpler Grace. If you enjoyed this article, please feel free to share it with your friends! Don't forget to join the ASG Tribe! I'd probably tell you how i'm feeling overwhelmed, stressed, and anxious. I'd talk to you about the pup, the good and the bad that has come with it. And then I'd talk to you about my career and where I see/want it to go and where I'm feeling held back. Can't say I'm a beacon of optimism in this chapter of my life but I'm trying to turn it around. A donut date would be so fun, one of my favorites. I'd join you in complaining about the weather, because I'm pretty darn sick of it myself. I'd tell you how exciting it is about your brother's business and the help you're giving him. I'd tell you I'm really trying to focus on the things that matter lately and it's been going pretty well. Your brother starting his own business sounds super exciting! I'm always in awe of people who take such a risk in life and aren't afraid to give it everything they've got; it's truly inspiring. How nice that he wants your input on it, too! I would love to have a donut date with you. And yes, the weather... I woke up this morning and there are THREE snowstorms in the forecast for the coming week. I will be excited when spring gets here! Focusing on things that matter is a game changer, right? It's so easy to get wrapped up in social media and trivial things, but family and friends and real life - that's where it's at. Happy Valentine's Day! This weather is seriously crazy, but I wouldn't mind going somewhere cozy and having a donut. Yum!! That's really exciting about your brother's new business, and how fun you are getting back into design. I sometimes wish I'd learned graphic design...maybe someday. 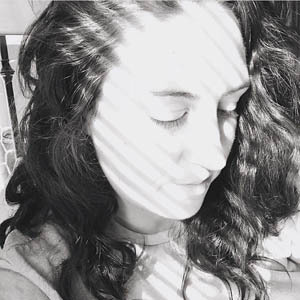 I love the format of this blog and your thoughts about living a slower life. That's definitely something I should try to do more often! Looking forward to hearing more from you! What a wonderful catch-up. I am longing for a bit of winter feel to be honest but I can understand that you are done with it. I have only once seen ice incapsulated trees and was mesmerised. Even though I miss your blog posts a tiny bit I am happy that you enjoy your slow life and take a rest. Healthy – physical and mental always comes first. And how fun to work with your brother. I know! I thought we all deserved a donut this month. :) If you want to learn graphic design, I highly recommend a YouTube channel called The Futur Academy. They do a lot of design tutorials. I've loved learning from them! Thanks for coming by to read, Beth! Aren't winter trees awesome. We don't get ice storms here but we get Hoar Frost and mannnnn its super beautiful. I'm so excited for you to be doing some graphic design again. I miss my Architectural Design years and asked my bestie from that era if she would like to start doing it again with me as a side hustle. She got super burned at her last job and I moved onto a different field. She isn't ready but man when she is... look out world ha ha. Thank you as always for hosting the coffee dates!! Congrats on helping your brother with your skills. And good luck with the secret project!